The trig point is not quite on the highest point. Just behind me is a large drop off the edge of the slab of rock which forms the summit. 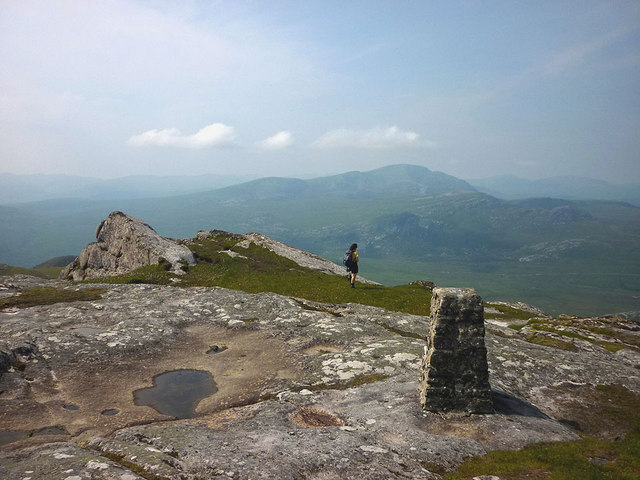 Ben Hope is the mountain beyond Ali.